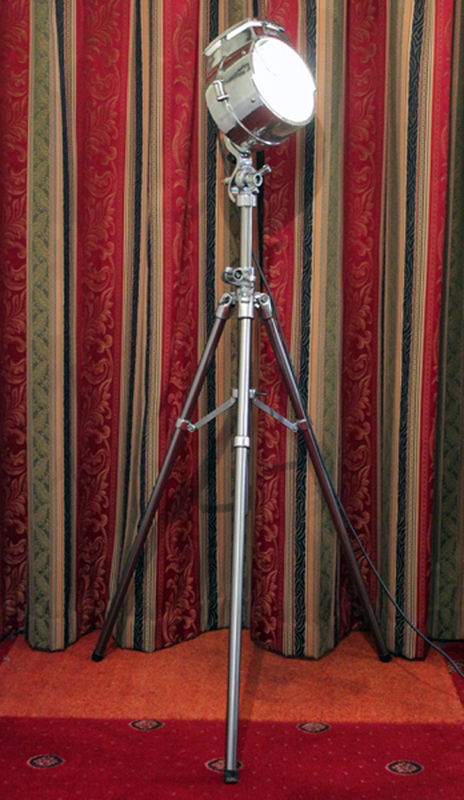 Restored vintage Bullfinch lamp on a steel and aluminium vintage tripod. All original but wired for domestic use, with in line on/off foot switch. Fabulous condition!